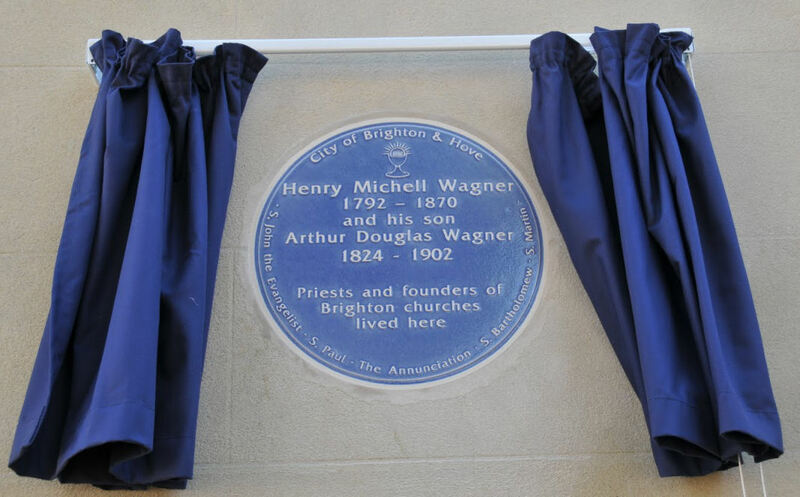 This week a blue plaque was unveiled to commemorate Henry and Arthur Wagner, the father and son Brighton churchmen. Between them the Wagners spent many thousands of pounds to build churches, many of them for the poor of the city, in the nineteenth century. 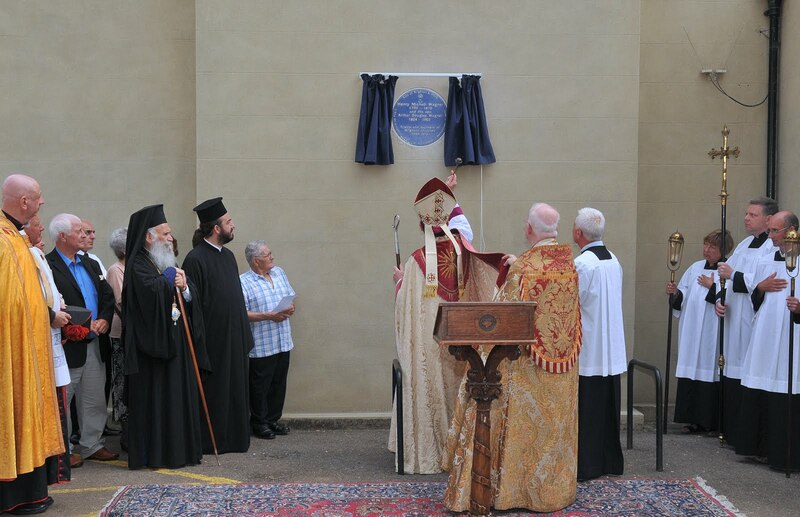 The plaque, on The Old Vicarage in Temple Gardens, Brighton, was unveiled by the Mayor of Brighton and Hove Geoffrey Wells, who was accompanied by the Mayoress Mrs Sally Wells. 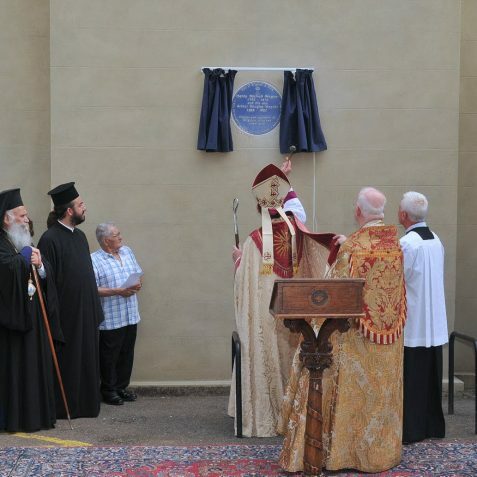 Amongst those participating in the dedication ceremony were the Assistant Bishop of Chichester, the Archbishop of Thyateiria and Great Britain and other church dignitaries. 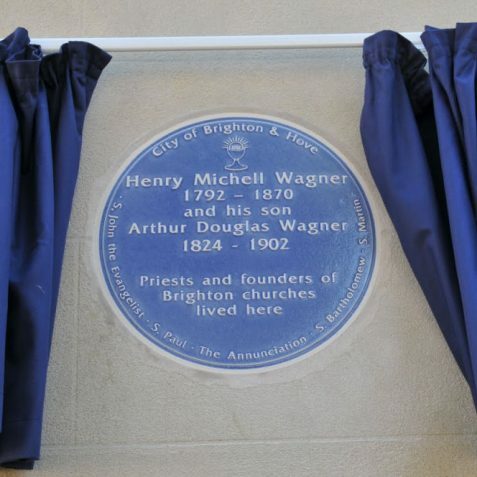 Henry Wagner, Vicar of Brighton from 1824 until 1870, was born on 16 November 1792 at 93 Pall Mall, London, the son of wealthy hatter Melchior Henry Wagner and grandson of Henry Michell, Vicar of Brighton 1744-89. In 1823 he married Elizabeth Douglas and on 30 July 1824 accepted the benefice of Brighton and West Blatchington, but his wife fell ill after giving birth to their son Arthur. In 1830 he was appointed a royal chaplain and remarried in 1838, to Mary Watson who bore him two more sons, but she died in 1840. At the beginning of Wagner’s incumbency there were just 3,000 free sittings in the town’s churches, despite something in the order of 20,000 poor people living in Brighton. Both Henry and Arthur Wagner devoted much of their lives to improving this situation, and Henry Wagner himself had six churches built. 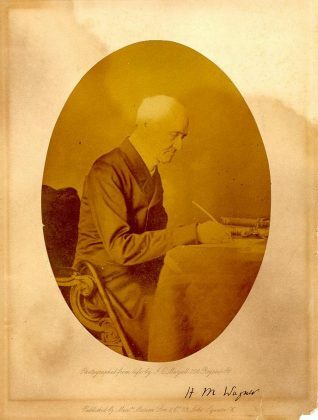 Despite his many good works, there was a considerable amount of antagonism towards him in the town generally, especially over his appointments at the town’s churches and over the church maintenance rates. Wagner died on 7 October 1870 aged seventy-seven after forty-six years as vicar. 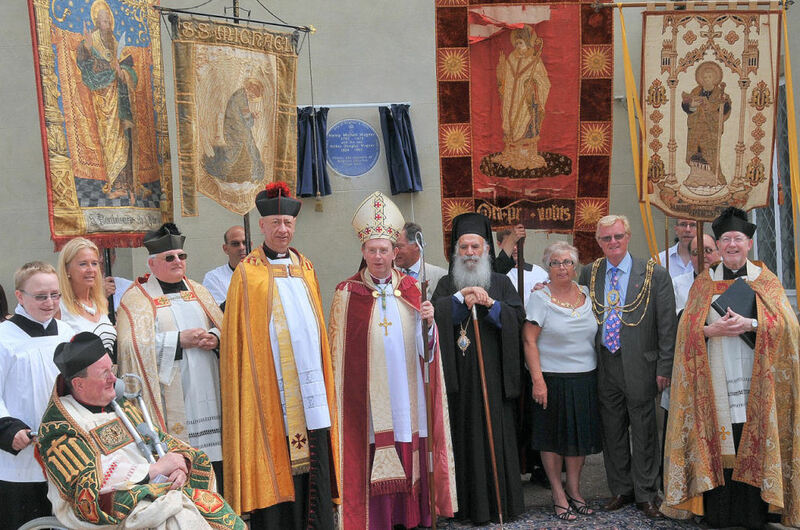 All churches were hung in black and large crowds watched the funeral procession from St Nicholas’ Church to the Parochial Cemetery in Lewes Road. Henry’s son, Arthur Wagner lived with his father at the Vicarage in Temple Gardens but moved to the adjacent house, Belvedere, which was left to him by his aunt Mary, when his father died in 1870. 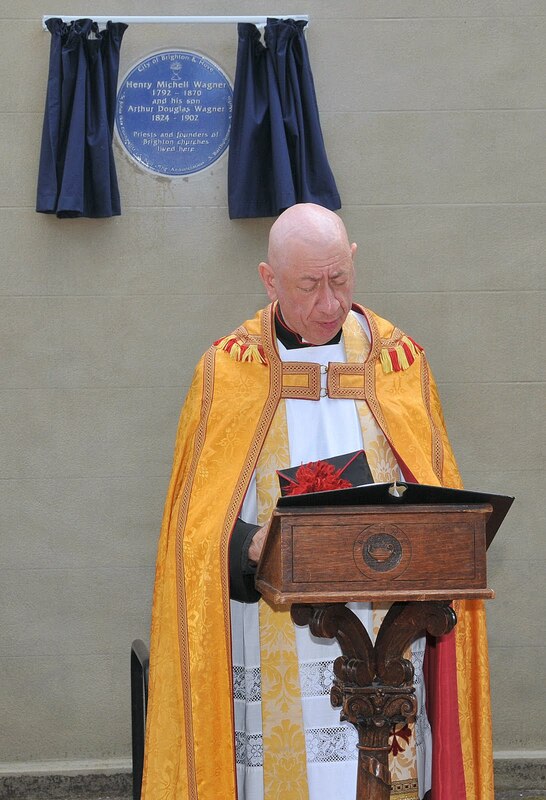 He remained curate at St Paul’s, West Street, until his death on 14 January 1902. In addition to his ritualistic views Arthur Wagner is also remembered for his extraordinary generosity to the poor of the town. 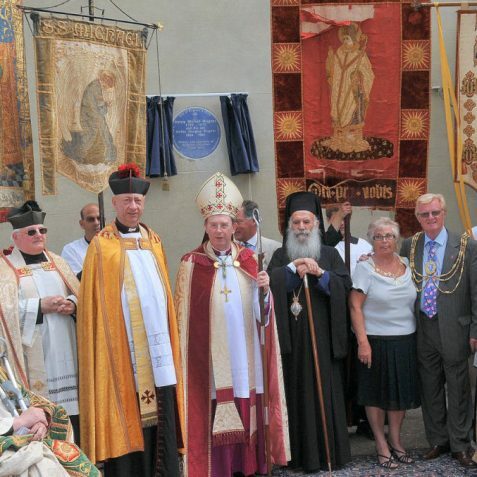 He had some 400 houses constructed in the Islingword Road district and the Round Hill Estate between the Lewes and Upper Lewes Roads, and also had five churches erected in the poorer parts of town mostly at his own expense. 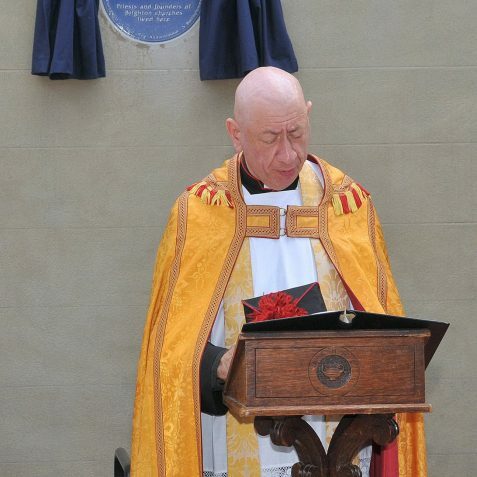 Do I recognize the lectern as being the one from the old Assembly Hall of Brighton and Hove High School, when the Old Vicarage was the Junior House? Looks to have the school badge carved on it? Memories of the 40s! Many years ago a builder found some reciepts in New Road signed by Reverend Wagner. They were signed by Henry Wagner. They were for a coal merchants and were found under some floorboards. I have still got them but they are in poor condition. I would love put then on my Brighton and Hove but I do not know how to. Some advice please.